International Business Times, India (ibtimes.co.in) has bagged the Best International Digital Media Award at the fourth edition of Indywood Film Carnival, one of the best film festival and entertainment events in India. 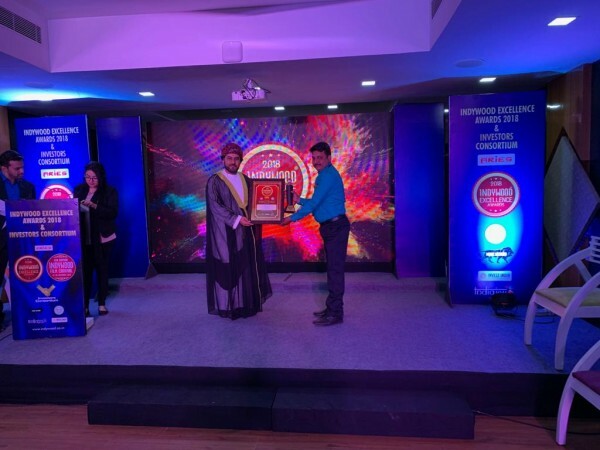 International Business Times, India (ibtimes.co.in) has bagged the Best International Digital Media Award at the fourth edition of Indywood Film Carnival, which is one of best film festival and entertainment events in India. The fourth edition of Indywood Film Carnival is a five-day event that was held in Hitex Convention Centre, Hyderabad between December 1 and 5. The organisers of the function announced awards for journalists and media organisations for best reportage on its opening day. International Business Times, India was honoured with Best International Digital Media Award on this occasion. "At IBT, we strive to offer quality and relevant content to our users. Keeping in mind India's love for cinema, we have a full-fledged team of brilliant reporters who cover all aspects of Indian cinema apart from our tailored coverage of business, policy, economy and political news in India. Our content is tailored while keeping the global Indians in mind. This award is a result of the credibility and quality of the content our south India entertainment team churns out," Danish Manzoor, Editorial Director (APAC) of International Business Times, India said. With over 20 million monthly users, International Business Times, India boasts a quality reader base. Headquartered in New York, IBTimes South Asia headquarters is in Bengaluru, India while the European headquarters is based out of London. International Business Times (IBTimes) is a growing digital global news publication that delivers international business, policy and political news to an audience of over 15 million people in India and 80 million worldwide every month through its network of digital publishing platforms. IB Times is produced in seven editions in five different languages, offering in-depth coverage that is relevant and specific to each global market.